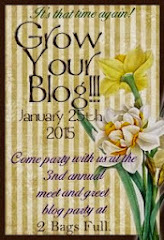 Val's Quilting Studio : Grow Your Blog Event & Give-Away! If you're already a regular around here, I'm happy you stopped by and hope you'll scroll down to enter yourself in my GYB Give-Away. (But don't miss the paragraph below Wilma & Betty...because I'm talking about you there! SMILES!) If you are new to my blog, well Hello! I'm Val and this is me and buddy, Jackson. (He has a habit of photo bombing my quilt taking photo sessions often...you'll see!) This is a quilting/sewing hobby blog. People comment often that they like my "happy" quilts. So Who Am I and Why Do I Blog? My husband is my very best friend and we have started the "empty nest" chapter of life and are having a blast. We have two young adult daughters, one Sea Hawk Loving fan of a son-in-law, and an adorable (of course, right!) grandson who is 15 months old. I'm still close to my parents, though about 843 miles seperate us. These are the people I love to create quilty hugs for the most! By day, I'm a veteran (26 years) teacher, to a class of energetic Second Graders in Oregon, (USA). I started quilting in the Fall of 2009 and blogging a year and half ago to document my projects and growth as a quilter. (So it's safe to say I'm still pretty new to all of this). 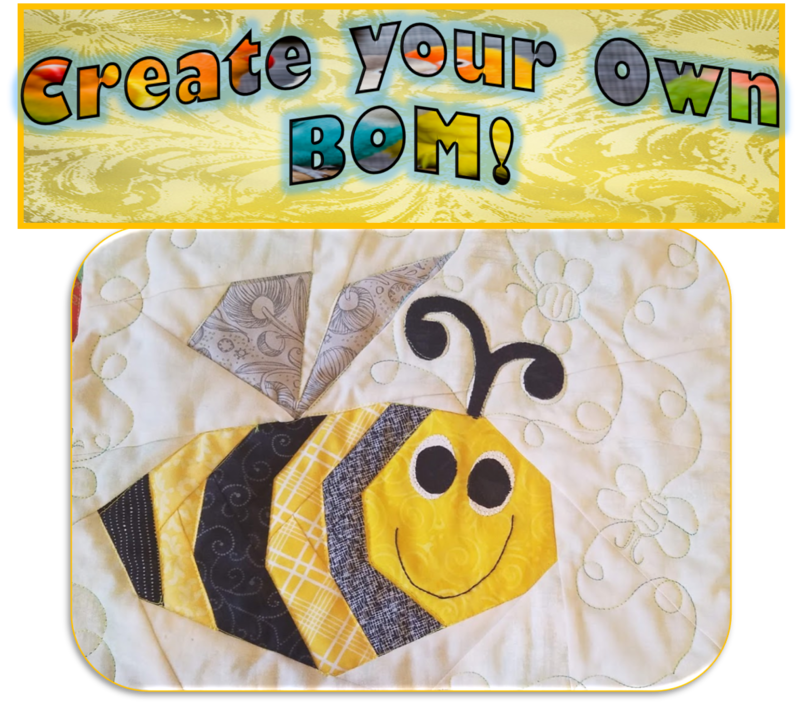 I have found blogging to be very motivating in my completion of projects and love the "virtual quilting guild" it has created for me. I have made some wonderful friends blogging and enjoy the linky parties and blog hops we all participate in. We also enjoy exchanging fabric and patterns by way of "snail mail". I truly find this inspiration and support received from all my fellow blogging friends to be priceless. With that said, I'm only a blogger. I admittably don't even know what Twitter is and have never even been on Facebook. I like to sew and write. What Kind of "Quilter" Am I? 1. 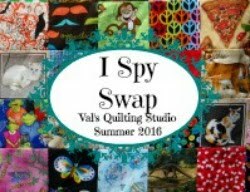 Each Tuesday I'll post one or two quilting/sewing themes. 3. Grab yourself something warm to drink and enjoy visiting other's archives. This Give-Away is closed. The winner was announced right here. Just leave a comment to say hi, share how long you've been bloggin...whatever...I'm certainly looking forward to getting to know everyone throughout this event. Val, on behalf of Vicki at 2 Bags Full, weldome to "Grow Your Blog" Day. You've certainly grown your blog by one follower -- me! I've already designated a quit for Tuesday's Linky Party. Hi Val, long time follower! Your button has been on my sidebar for ages. I have been blogging for one year tomorrow!! I have been blogging since early in 2012. I have followed you since last year, some time. Hi Val, great blog post. I started blogging just over a year ago and started following you via GFC. I've blogged since July 2009, but on my new blog since January 2013. I have your linky party button on my blog, for sure. Hi Val - I am a long time follower of your blog. I've said it before and will say it again, Jackson is a supermodel! Thanks for the chance to win! Here's my chance #2 to win - I've been blogging since March 2013 so I am coming up on my two year anniversary. It has been a wonderful experience and I've enjoyed meeting so many lovely people like you! I follow you through Bloglovin' and my blog. Think I've been with you a couple of years. And I really LOVE your happy quilts. And here's my chance #3! Your linky party button is on my blog! I've got my fingers and toes crossed! Thanks for the chances to win! I found your blog by the Grow your blog last year and have been a follower since. I hoped I would be a little better to spend time sewing last year, but it seems that knitting takes most of my time. 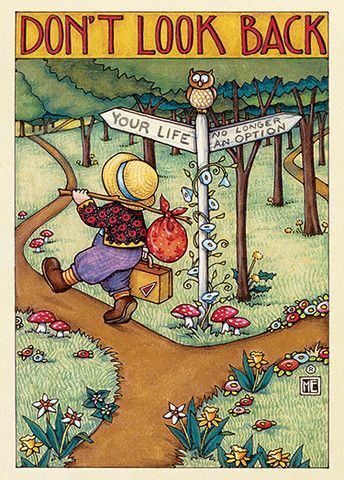 But now it is a new year and new opportunities, and your blog gives inspiration! Sweetie, what a lovely meet and greet post. Love all the color and techniques and embracing of the love of fiber. Will see you on Tuesday for sure. Val, Great post! I love your blog and also LOVE Jackson! You know I'm a fan! The Pug Boys and I are just saying "Hi!" You've been on my blog roll for a while and I look forward to each new post! I have been blogging for almost 3 years. Hi Val, Longtime follower on blogger. Love your colorful happy quilts as bright colors are my favorites. Like you I am a former elem. teacher and also was a principal. Loved the job most of the time. Love to quilt and have many WIPs. Hope you have fun visiting all the blogs. I am a new blogger. I am visiting through Vicki's blog party. Hi Val! I have been blogging about 3 years now over at www.quiltingwithcalicos.blogspot.com. I really love your blog and read it most everyday so I am an old follower! Hey Val, I'm doing your piggy bank challenge and I have been blogging for about 6 years. So happy to be in the race. Thanks for the chance. Hi Val, by way of GYB. This looks like such a fun blog. I am new and followed you on Bloglovin, also added your button to my blog. I've had your button up on the blog since at least late December last year. I've been blogging for a little over 4 years. I've been following you via Feedly since sometime last year. I just added myself as a follower on your blog. Hi, Val! Great post. I've been a follower for quite awhile and like your Tuesday Archive feature. Hi Val! I don't have a blog of my own, but have been reading blogs for about 4 years now. I get so much inspiration from yours and other great bloggers out in blog land. Thanks so much. How could one not follow your lovely blog which oozes fun, fun, fun! I want to be a child in your class....it would be the best fun. Love all your happy quilts, they sing the merriest of tunes. I have been blogging for 2 years and like you, consider it rather akin to, (in my instance) a very long conversation between friends. So happy to be following you both on bloglovin and Google....I don't want to miss out on any of your infectious fun!! You and I have been blogging for about the same amount of time. Thank you for all your encouragement and inspiration! Hi, Val. I'm your newest follower, for the moment. Nice to meet you. Thanks for visiting my blog. Love the party and it looks like we have a few things in common. Funny, I thought I was already following you. Well, I'm sure now and have added you to my blog roll on my page. I've been following you since close to the beginning of your blog - I believe I started following you after I read your post about giving your fabric and thread scraps to the birds to build their nests with. I'm not entirely sure how long I have been blogging for. I have had a few attemps at it over the years. Maybe it was 2010 the first time I had a go at blogging, but I wasn't sure about it. Then I tried blogging with my sister, but that didn't last. And now again by myself, with a little more consistancy than in the past. BTW, I forgot to say I follow you via my Blogger Reading List ( I probably also follow you on bloglovin, but I never really check bloglovin). So many lovely quilts! Thanks for the giveaway and the chance to win. I have been blogging since last summer, but have only written 11 posts. *sigh* I have a sort of belated New Year's resolution to do better, though! I very much enjoy your blog, especially your Tuesday Linky Party. It's the best part of most Tuesdays! How do I know if I'm a "no reply blogger" or not? Hi Val! I've been following your awhile...thanks for the inspiration. 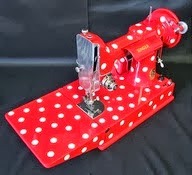 I have been blogging for a few years, regularly for about 2 with my sewing adventures. I'm visiting from St. John's, Newfoundland, Canada and I'm participating in the Grow Your Blog too. I've been blogging since 2009. Thanks for the giveaway. Wow Val, What a hoot! I love YOU! I'm so happy to meet you! And Jackson! Thanks for the visit and for adding me to your blog roll! I love your "happy quilts". Most of my projects are small, but trying to start something bigger (And finish it). I'll be back. I've been blogging and quilting about a year now. What fun! I've been quilting since 2007. I like checking out blogs and have even thought of doing a blog but don't think I'd have much to blog about. I bore myself!! Thanks for the giveaway. Hi Val. I have been blogging since 2012, am a follower and have your button displayed on my blog. Hi Val, just joined your blog as part of the Grow Your Blog and am very interested in your Tuesday link ups. Will have to keep an eye out to join in. Good question Val? I think for about 4 years. And I have been following you for quit sometime. I enjoy seeing all the interesting things you are up to! Hi Val - I've been following you for a while but it's good to learn more about you! What a great blogger - I seem to have a lot in common so will be a new follower . Great giveaway as well! Hello from a fellow Oregonian! I've been blogging for a while, about my art and design stuff. Hope you can visit! Love the colors in your sweet little giveaway! Love your quilting! Thanks for helping out at the party! I enjoyed my visit with you - thank you for inviting me! I'm going to be starting to make my first 'real' quilt soon - must admit to being very nervous. I far prefer to crazy quilt! Enjoy the tour! Hi Val been following for a good while now! Started quilting in 2012 and blogging in 2013 so 2 years at it now! Hi Val, just dropping by on the GYB party. Waving Hello from snowy cold east coast Canada, where we're expecting a foot of new snow tomorrow... I've been blogging 6 years, and quilting for 25+. Hope you'll drop by and visit me too! Kiss Jackson on the nose for me! I am so glad to be one of your followers, you blog is just too much fun. Greetings from the Pacific Northwest! I'm a bloglovin follower! I've been quilting on and off for 14 years and have ventured into other crafting hobbies. Your projects are beautiful. I've been blogging since Aug 2011. I started for the same reason you did. To journal my quilting. I would love to browse in your studio! Your projects look amazing. Thank you for the tutorials. I have been quilting for over 20 years, and you can still find something that appeals to everyone. Thank you for the giveaway. I began my first blog in April 2010. My daughter took over that blog and I can't remember when I started my main blog :-) . Hi! I am currently on a hiatus from blogging, but I really do miss it! Thanks for the chance to win! Hi, I'm a quilter and cross-stitcher. I'm not a blogger, but I am learning to quilt and sew. I too am best friends with my husband. We are close to having an empty nest. So I will be looking forward to grandchildren. Oh, and I have two daughters. Been following for a while now and have enjoyed every minute! I've been blogging just about a year now myself so I'm still a newbie too! Hi Val... I follow you but this time...got here via GYB! Thanks for the inspiration you always give me with your posts! Hi Val! I'm visiting via GYB and have been blogging since 2010. I'm gonna go check out your linky party and the rest of your blog! i love the song of Oh Happy Day!! we played at our wedding. fun times. thank you for stopping in to my blog. hope you are well. big big hugs. take care. & see you again soon. 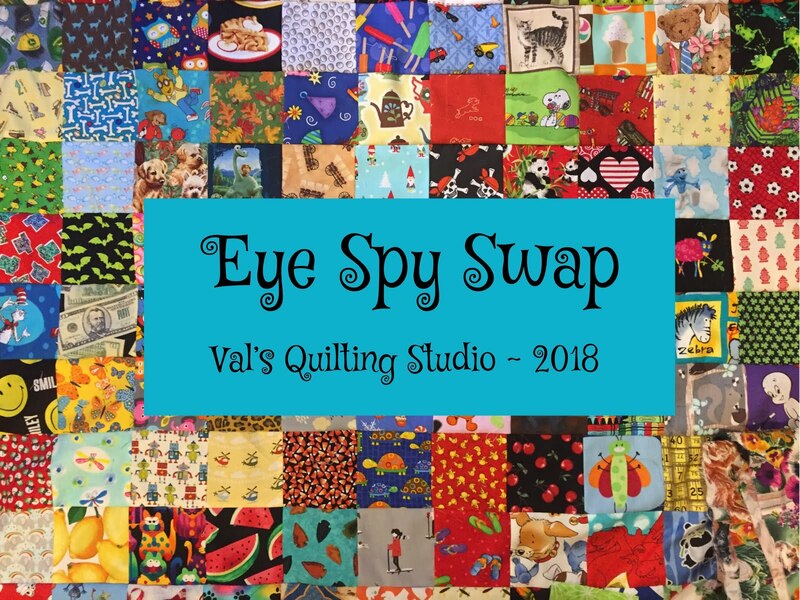 Very nice to meet you Val , I will be happy to become a follower , you have so many of the same interests it will be fun to see your lovely work and happy quilts . Thanks for visiting ,y blog and becoming a follower too . Well, we do seem to have lots in common, Val! I'm glad we have connected through GYB. I enjoy reading your blog! I like your work! Hi Val, I started reading your blog about a year ago. Sorry but I'm not a blogger, anyway it's very nice of you to have such a nice giveaway. Love your quilts! I sew for World of Charity Stitching (make quilt tops and another member completes the quilts on her long-arm machine). Hi Val, I sure enjoyed the visit and look forward to your weekly linkup! I have been blogging for a couple years now. Is Jackson a Jack Russell? He is 100 percent jack Russell! Lol!! Nice to meet you - I'm visiting from the Spain.Love your quilts! I have been following for a while. Been blogging for a couple of years. Need to start linking up on Tuesdays. Hi! Love your blog. I am a follower. I have been attempting to blog, very sporadically since 2011. My blog is called Ozark Country Stitchin. HHopefully I will get better. Thanks for the chance to win. Hello Val, I have followed you for a while via GFC but visiting not from the GYB. Found out heaps about you from that! Nice post. I blog because I wanted to record my creations. I realised a couple of years back that for all the years I've created, I have very little to show for it, as most of my quilts go to charity. I only have a few things here at home. As I got used to blogging, I found I really enjoyed "talking" to the world, and getting "conversations" going on my posts. Love it! It's nice to meet you Val! 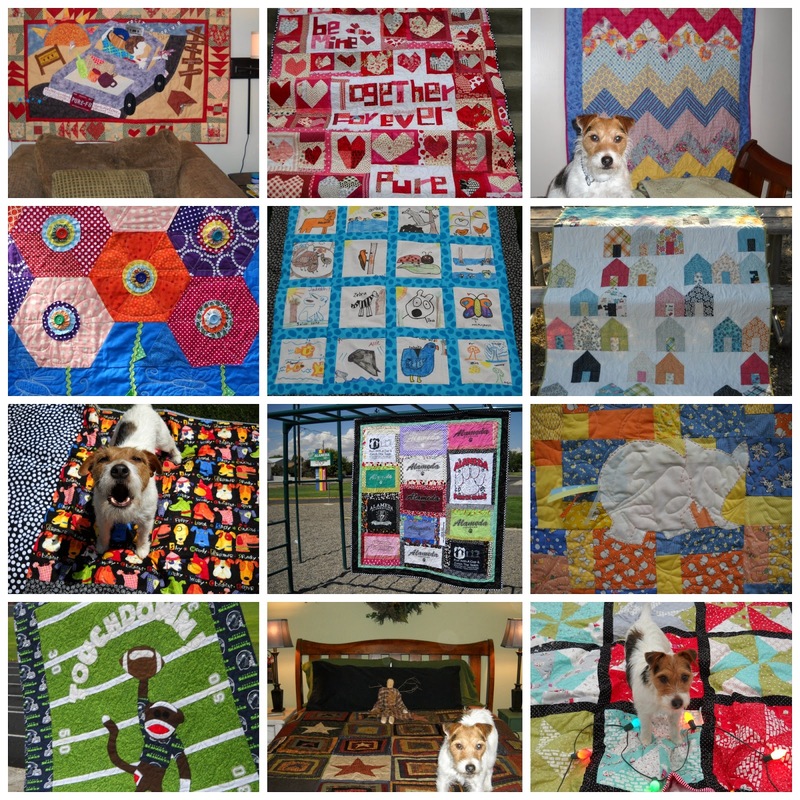 :) I love all your quilts!! So inspiring. Hi Val! I enjoyed getting to know you better. I've followed your blog, but this was so much fun to see all you do! I'm a 26th year teacher also! You make me tired just seeing what you've accomplished in one month. The time I quilt the most is S-U-M-M-E-R! I've been quilting for 8 years, blogging for 4 years. Thanks for the giveaway! I've been blogging alittle over 3 years now. I don't have a lot of time to write posts, but do try to keep up. You know I love that Jackson, he's got personality for sure! Thanks for the chance to win, hope you get lots of new visitors from the GYB! I've been blogging for 6 years. It's always nice to meet new bloggers and see what they create! Hello, Jackson looks like a lovely dog. I've noticed quite a few quilter's dogs who love sitting on quilts for photos. I enjoyed learning about you and what you do. Its a pleasure meeting you and learning about your passions. I've became a new follower. Thanks for giving us a chance to win something. My email is per7867@yahoo.com. Love the inspiration on your blog. Thanks for the giveaway. I've never blogged my own projects but constantly get inspiration from others. Beautiful work! Jackson is too cute and that's coming from a 'cat person'. I especially love the photo of him barking while standing on the dog fabric. Funny! I can't remember how long I've been blogging and am too lazy to check that out right now. Thanks for the giveaway and good luck growing your blog. Hi! I have been blogging for about 1.5 years. Thank you for the giveaway! I don't know if you have to blog to enter but I do not have a blog. However, I follow many blogs including yours and I love to sew and make quilts.